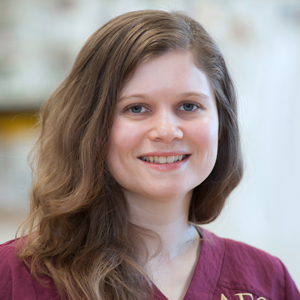 Dr. Haley Oates obtained her Doctorate of Veterinary Medicine with honors from Michigan State University (2015). She also has a Bachelor of Science degree in Conservation Biology from Marlboro College in Vermont (2005). Dr. Oates completed her Small Animal Rotating Internship in Medicine and Surgery at Michigan State University (2016). Dr. Oates is a member of the MVMA, SEMVMA, IVECCS and AVMA. After Dr. Oates graduated from college she worked as support staff at a speciality veterinary surgical center. This was her introduction into veterinary medicine, and she never looked back after that. After a few years dedicated to surgical specialty she switched her focus to emergency medicine. Dr. Oates worked as an emergency technician for 3 years before veterinary school, and While an intern at MSU she spent as much time as possible in the ICU to help prepare herself for her career in emergency medicine. Dr. Oates joined Animal Emergency Center in 2016. "I love emergency medicine because it gives me the opportunity to help people and patients on what could be their worst day. When someone brings their pet in on emergency, I strive to make that experience as comforting and informative as possible." While Dr. Oates was still a student her 80 year old (at the time) box turtle developed acute respiratory distress and she rushed him to AEC for treatment. "I will never forget the worry I felt, but knew he was receiving the best care. The doctors at AEC diagnosed Mortie with pneumonia, and he eventually made a full recovery, but that experience puts me in the position to understand what my clients are experiencing when they bring their pet in for emergency treatment. I hope to make their emergency visit painless for both pet and owner." Dr. Oates enjoys hiking with her fiance and infant son, baking pies, and spending time with her dog and turtles. She has a large breed mutt who loves swimming and playing ball, and two box turtles, Midgie age 17 and Mortie age 84!